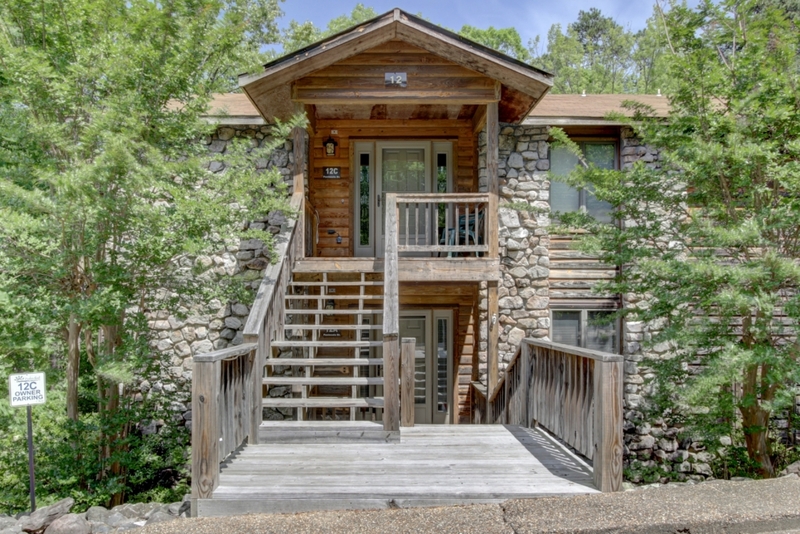 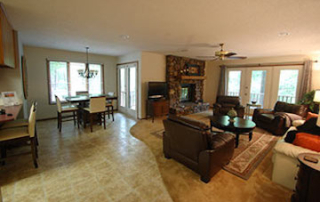 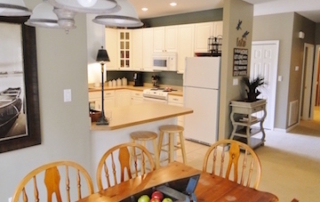 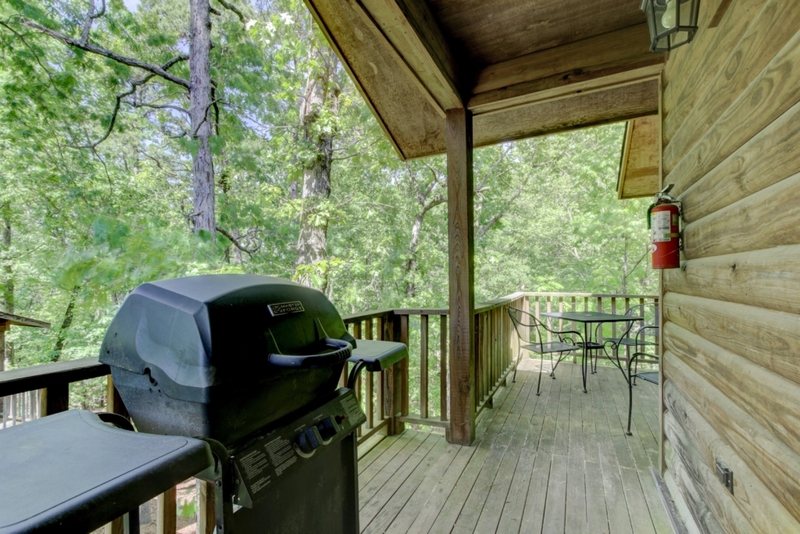 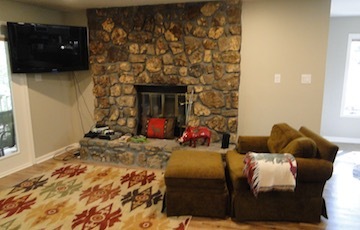 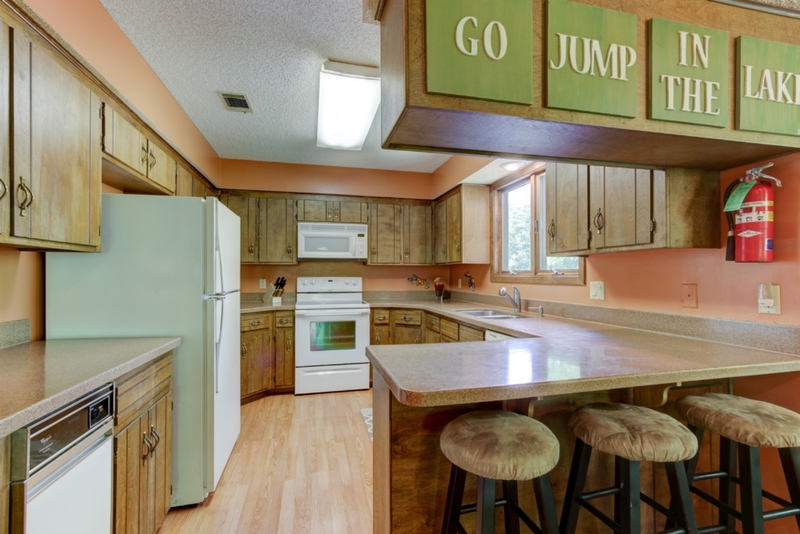 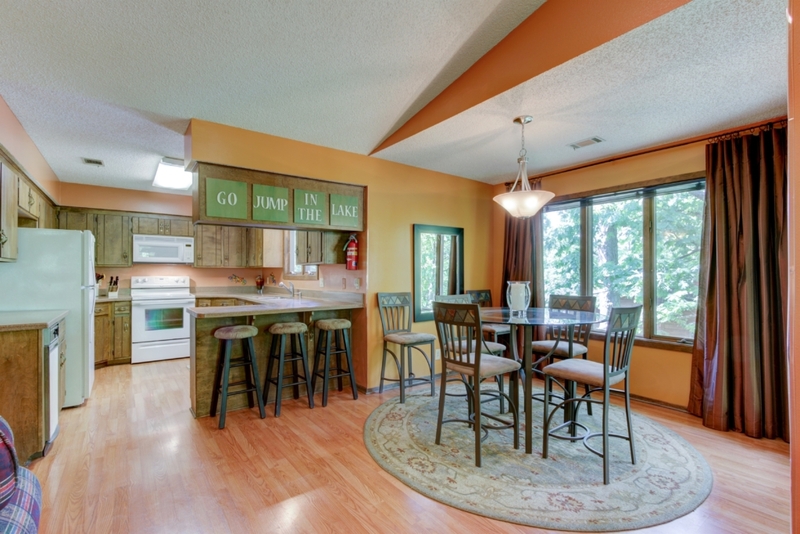 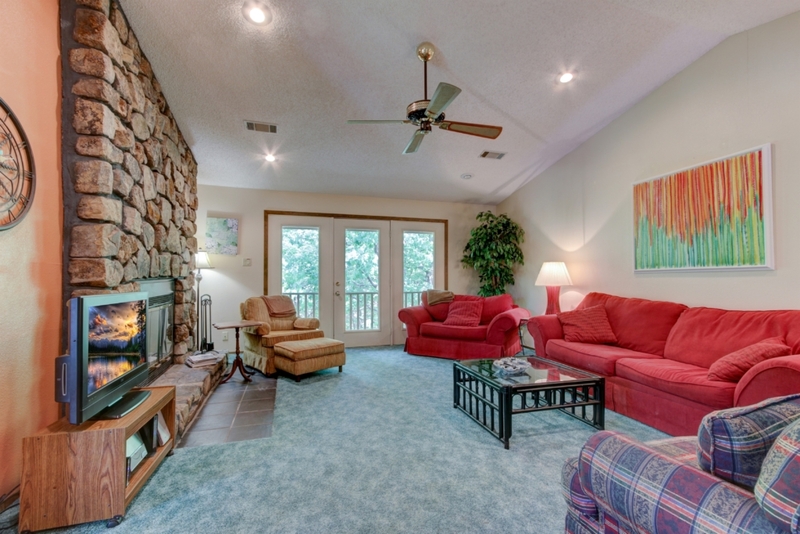 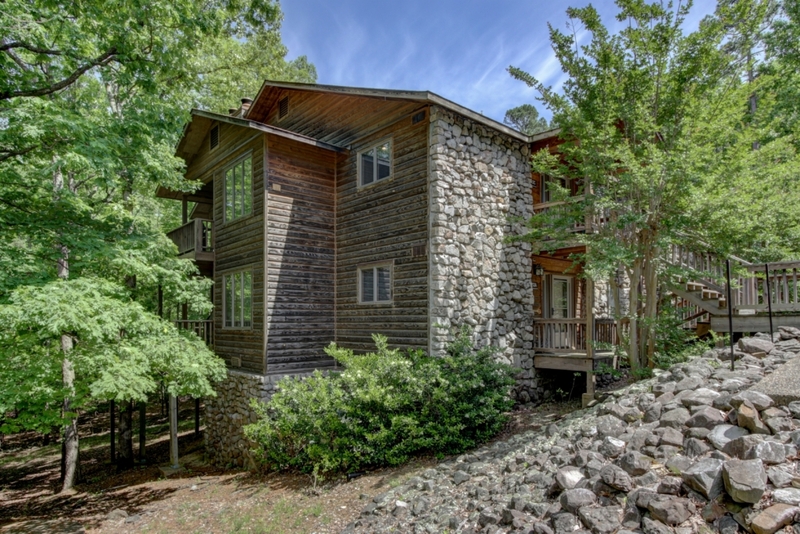 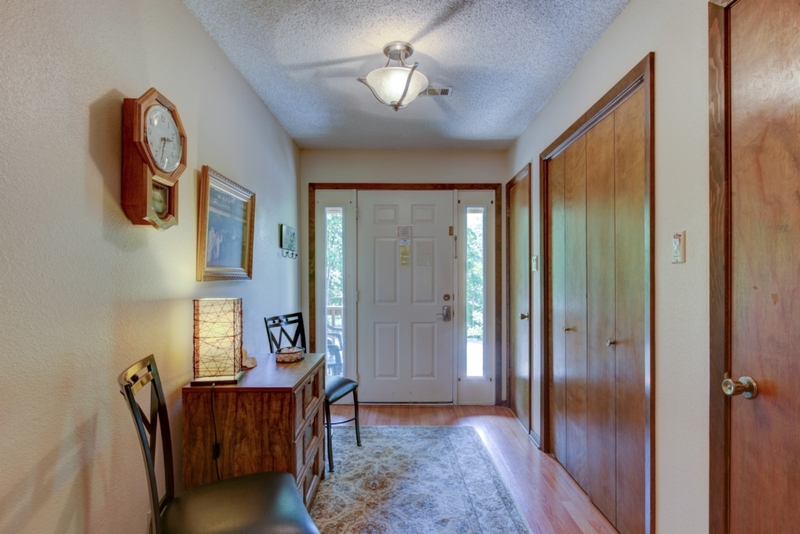 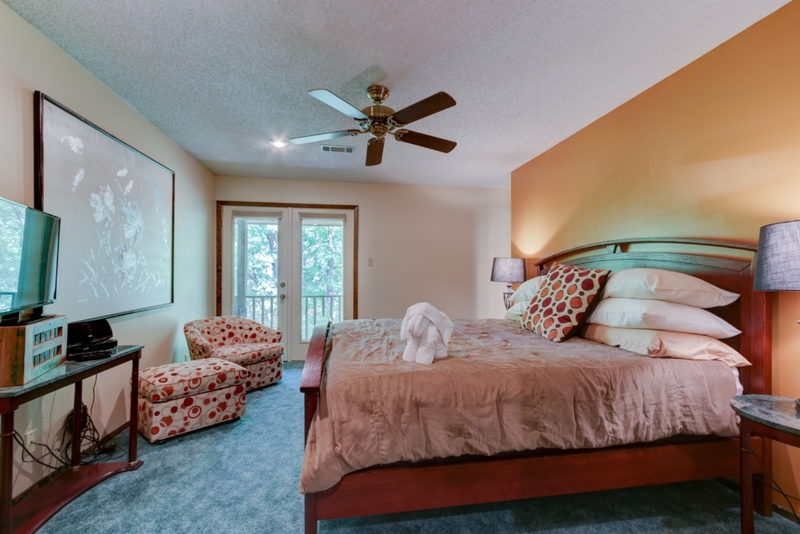 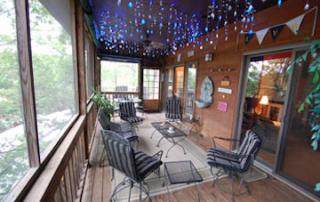 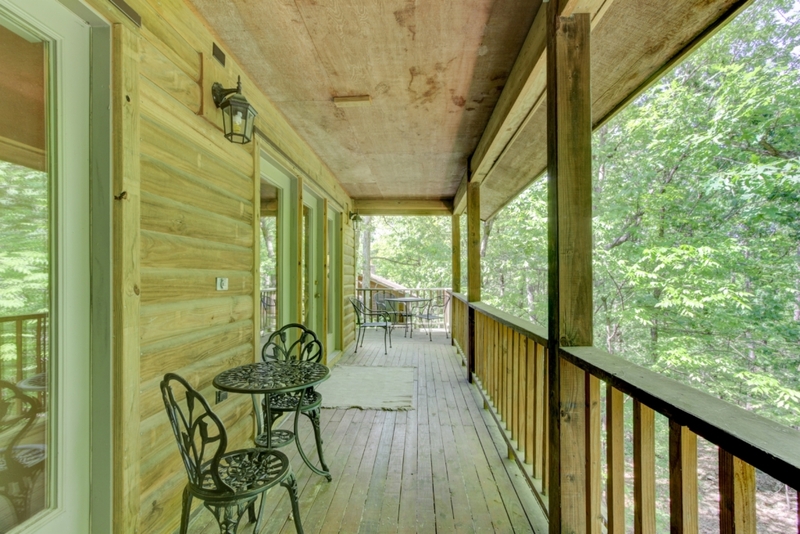 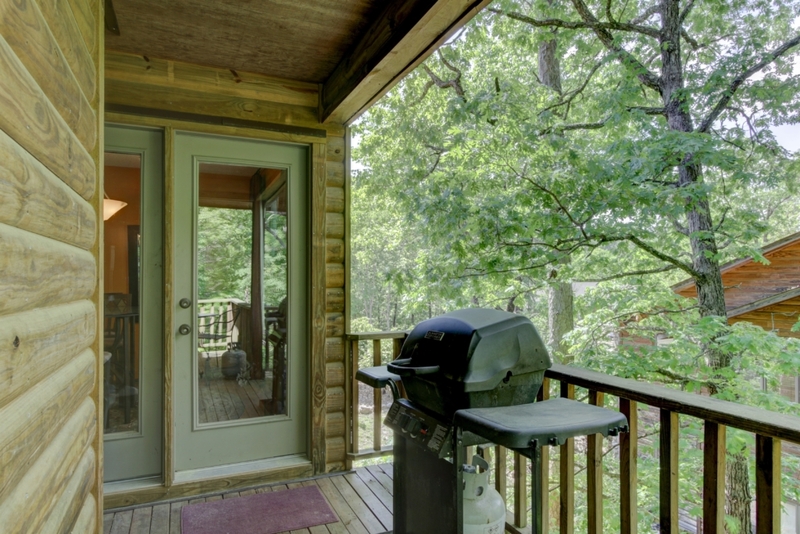 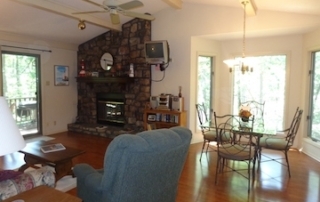 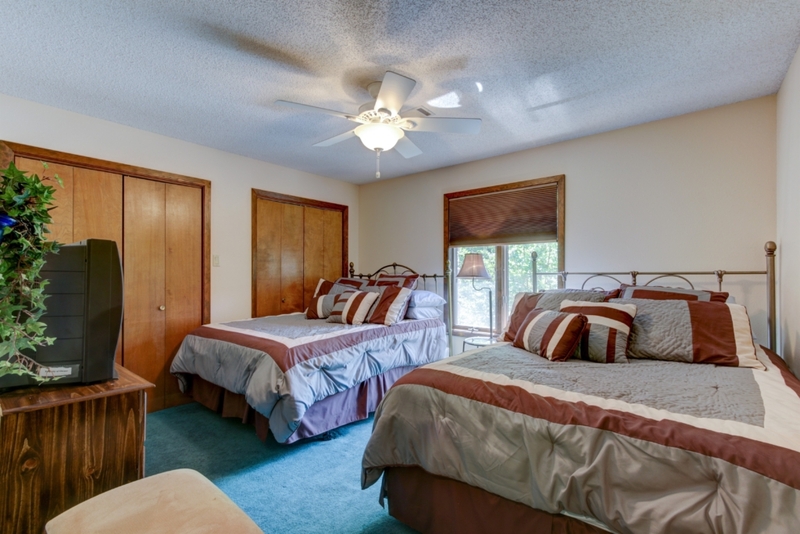 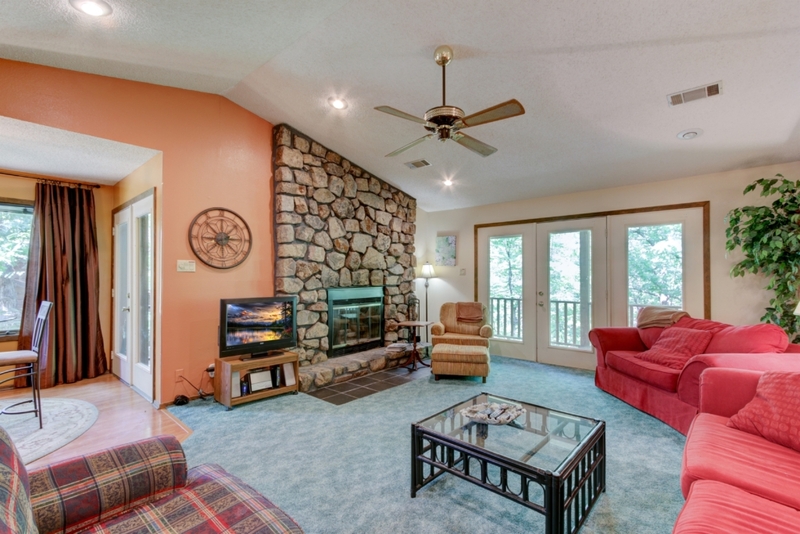 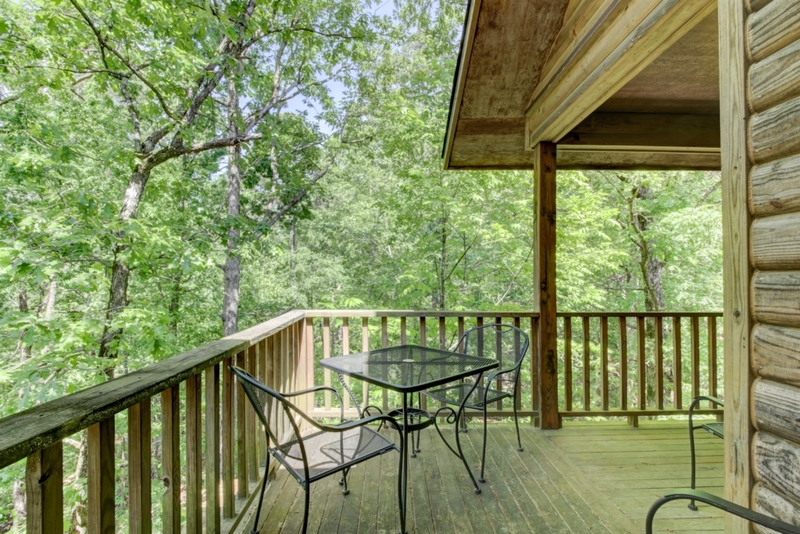 Lake memories are made in this large 2 bedroom / 2 bathroom upper unit that overlooks the forest and a wet-weather creek. 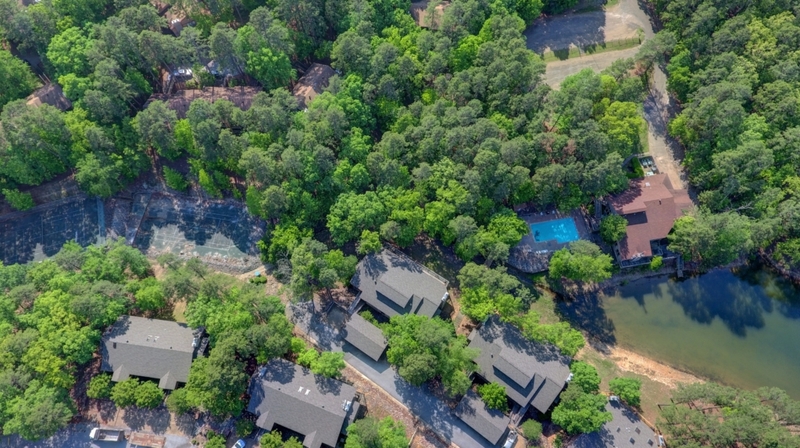 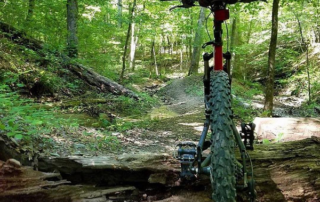 This unit is approximately 1,416 sq. 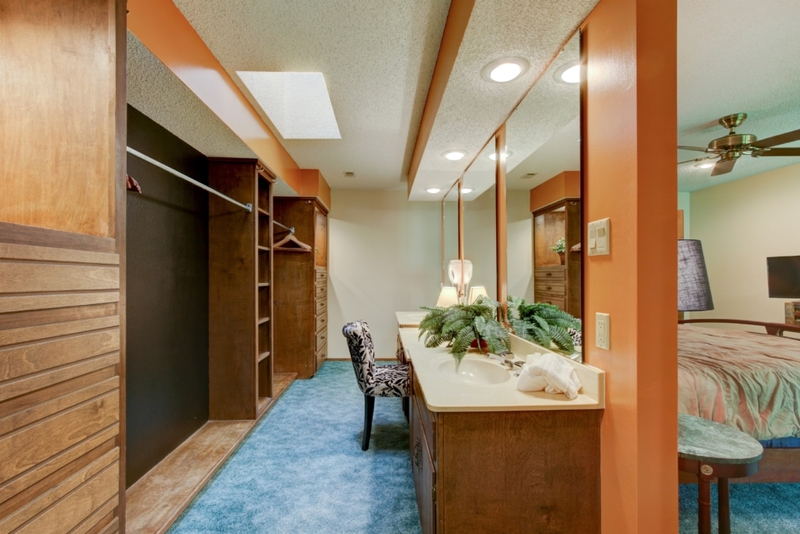 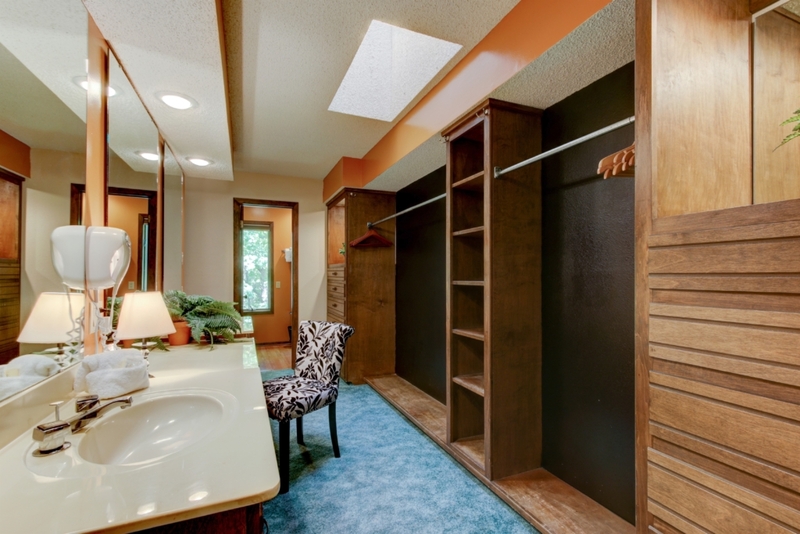 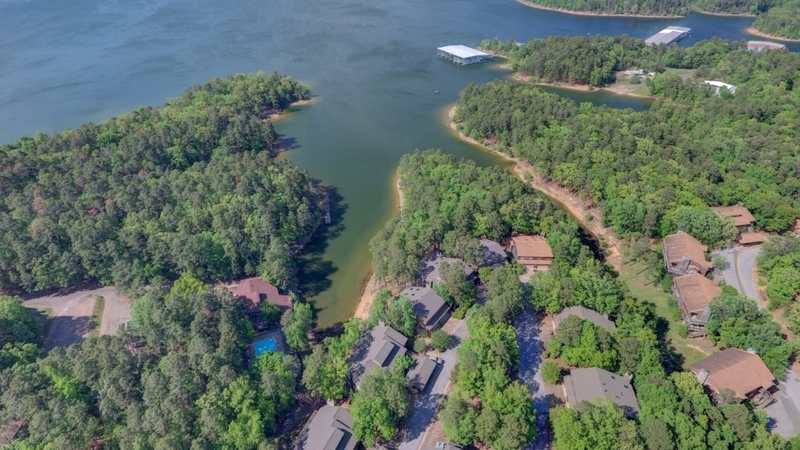 ft. and includes a bonus storage room below for storing all those lake toys. 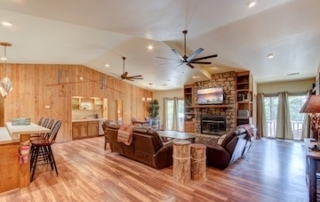 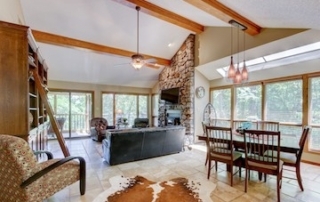 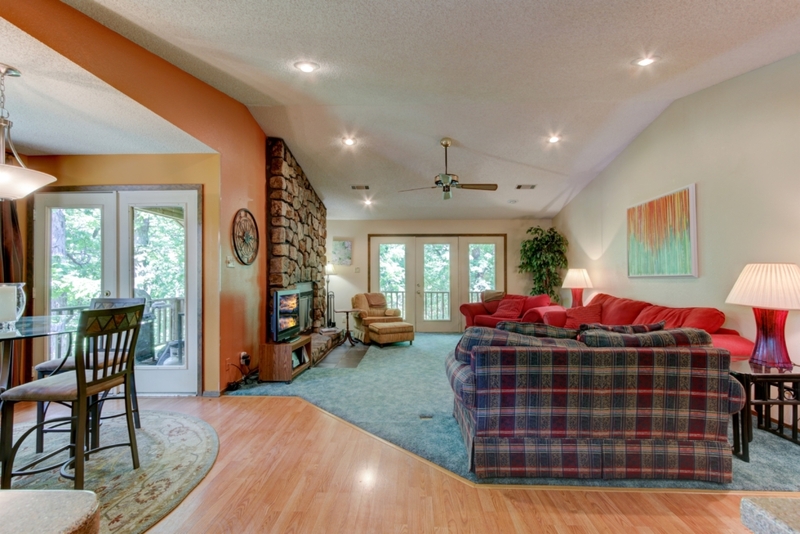 Vaulted ceiling with wood beam in the living area enhances the open and airy feel. 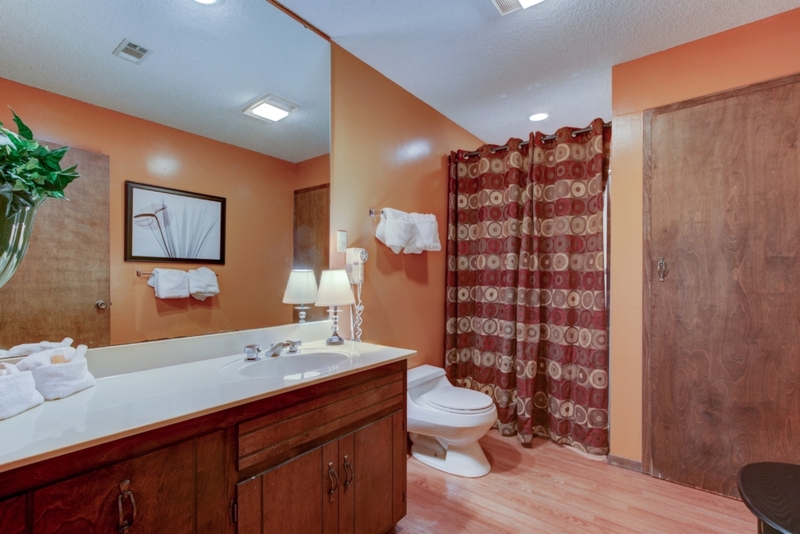 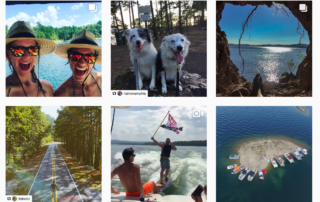 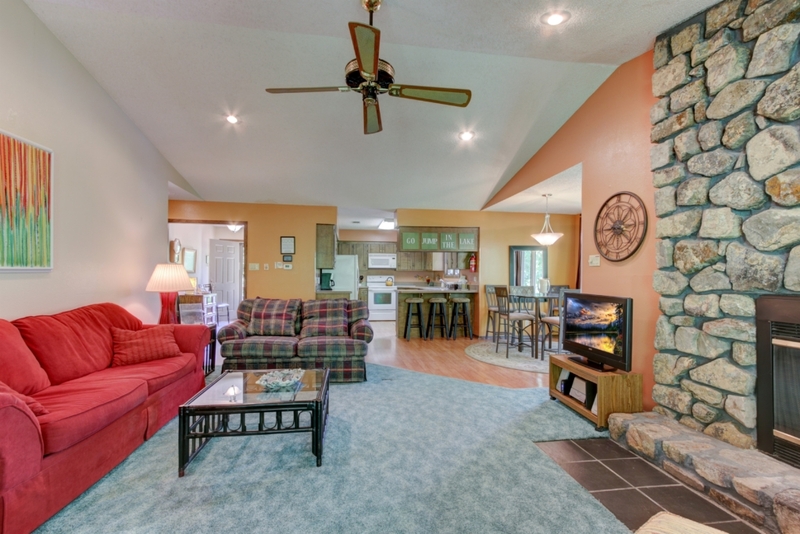 You will love this floor plan and space, great for a family getaway or inviting friends for a fun in one of the cleanest lakes in America!